The Barcelona captain stated that he will continue with Barcelona next season. 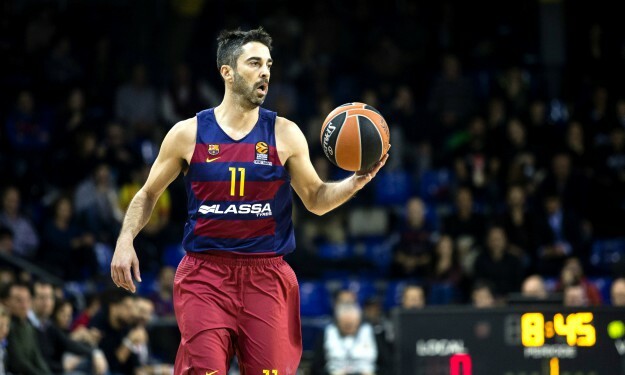 After the end of the fourth semifinal against Baskonia and Barcelona’s elimination from the Spanish League finals, Juan Carlos Navarro told the press that he will continue with the team next season. “I don’t want to go out like this, with this defeat. I would like to be part of a competitive team in EuroLeague, we haven’t been on that level in years”, “La Bomba” tells Mundo Deportivo. Navarro wants to add even more trophies to his already rich collection (8 Spanish championships, 7 Copa Del Rey Cups, 5 Super Cups and 2 EuroLeague championships), before retiring from basketball.